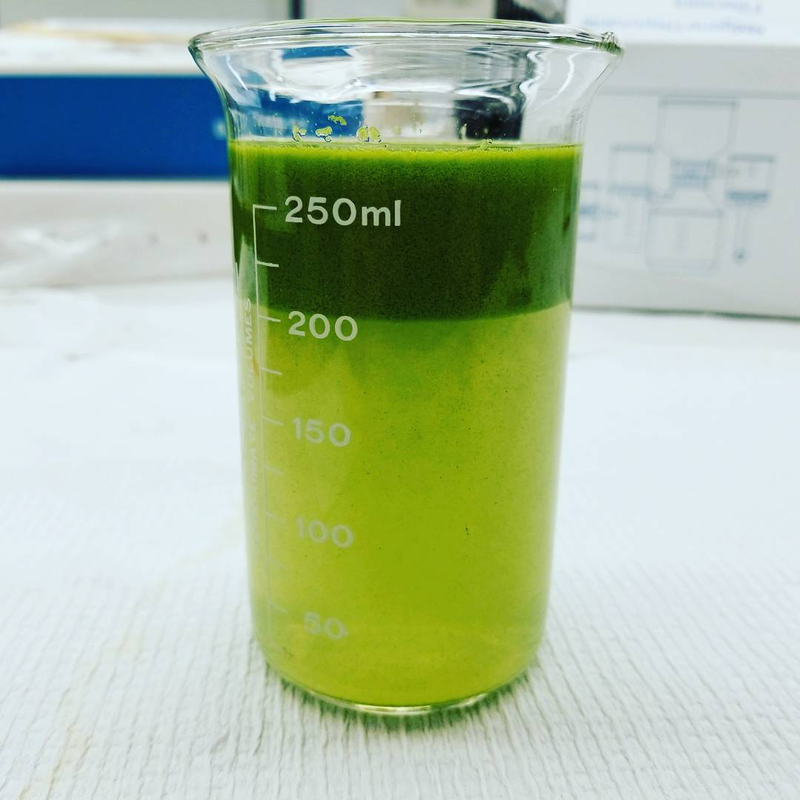 A beaker filled with algae from the study. Image: Christine Kitchens. That is the inspiration behind a study released today and believed to be the first to look at sixteen algal bloom sites in Lake Erie over two years. “Previous studies have only looked at maybe one location for one summer, and it’s just not a very big spatial or temporal breadth,” said Christine Kitchens, the lead author of the study and a research technician at the Cooperative Institute for Great Lakes Research. Harmful algal blooms are triggered by an excess of nutrients from agricultural and urban runoff, warm water and other pollutants. They have a history of contaminating drinking water for Lake Erie residents. When other researchers sample the blooms, they typically look only at the water and not at the sediment, Kitchens said. Kitchens paid special attention to the cyanobacteria cells that survived in the sediment through the winter. She found that cells with a potentially toxic strain develop faster than those without. That discovery will help other bloom researchers understand why algal blooms tend to grow so quickly in the spring. Figuring out the mechanism that allows that speedier growth could be key to controlling the menace. “If we can understand what is making the potentially toxic strains grow faster, maybe we could help minimize their importance in the bloom,” Johengen said. In Lake Erie this problem is compounded by the N.Y.P.A. ice boom. That device stalls the natural conveyor of nutrients and sediments. It allows for the holdover and survivors to get a jump on the following year. A complete change of the natural order of nature. Google “Joe Barrett ice boom” for the truth.